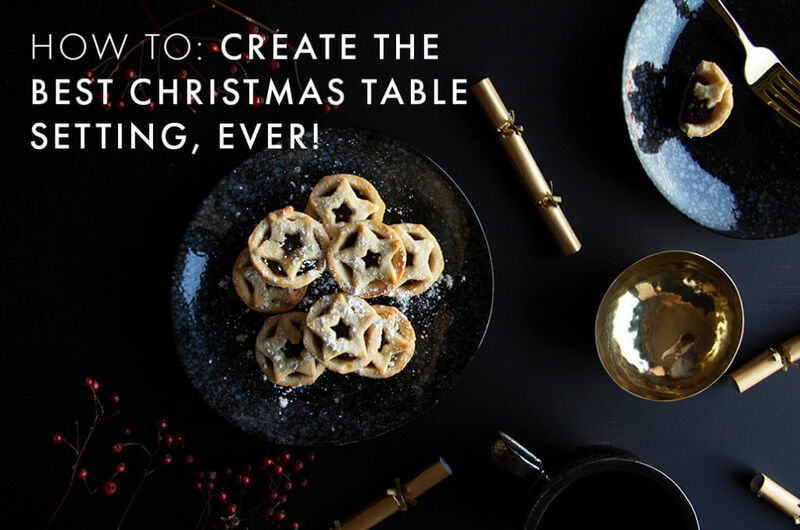 HOW TO: CREATE THE BEST CHRISTMAS TABLE SETTING, EVER! When your guests arrive on the big day, you know there is anticipation for the big reveal of the Christmas Table. The pressure to make it exciting and stand out will clearly be on your mind, but it doesn't need to be a worry. We are here to help and inspire with our guide to having the best table ever! 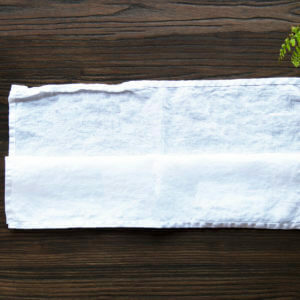 Get the pen and pad out and start making lists, perhaps draw some pictures and have your idea ready. 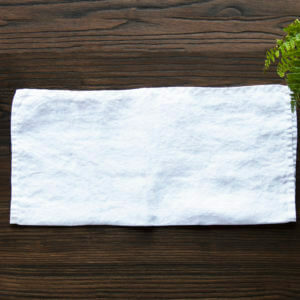 Maybe you want your table to have a theme, a colour, or a look? Simple or outrageous, you decide! 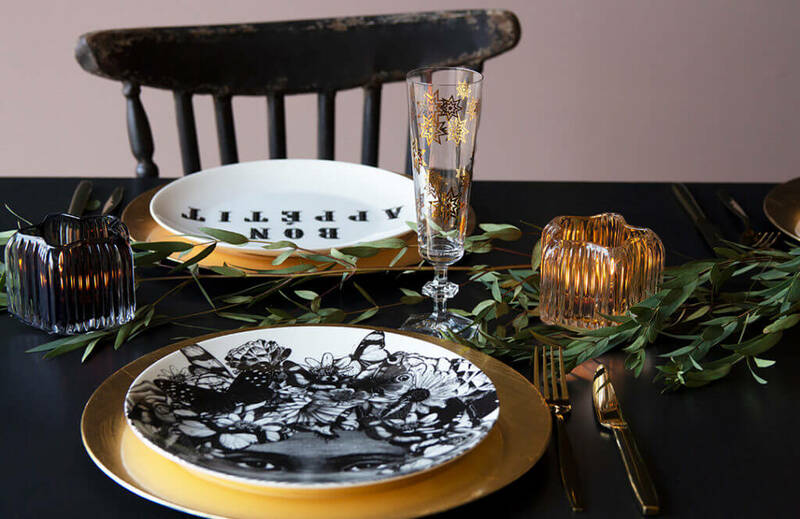 Work out the number of guests, how much space you will have on the table for plates, glassware and your decoration. You don't want to run out of room on Christmas day! 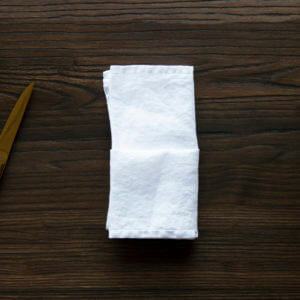 Build your table up with the essential items first. 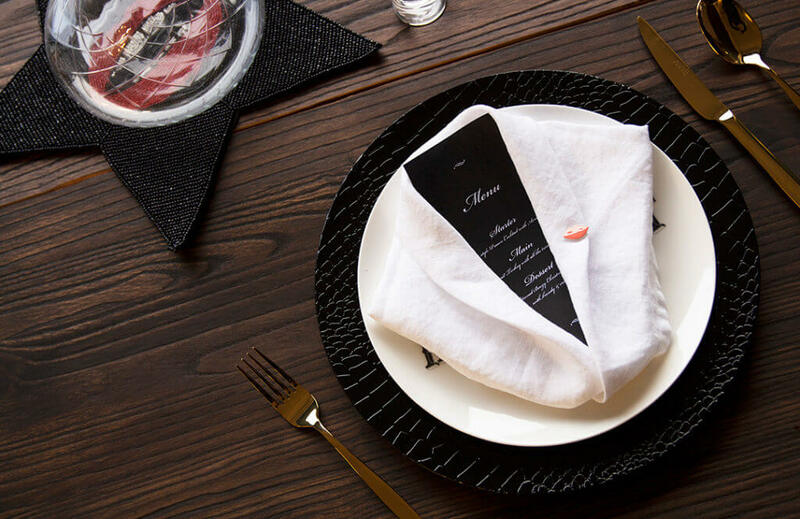 It sounds obvious but your guests will need enough plates, cutlery and glassware to get them through the duration of dinner and you don't want a situation where you have to wash up cutlery and crockery in between courses! Now that you've got all the essentials planned its time for the FUN part! 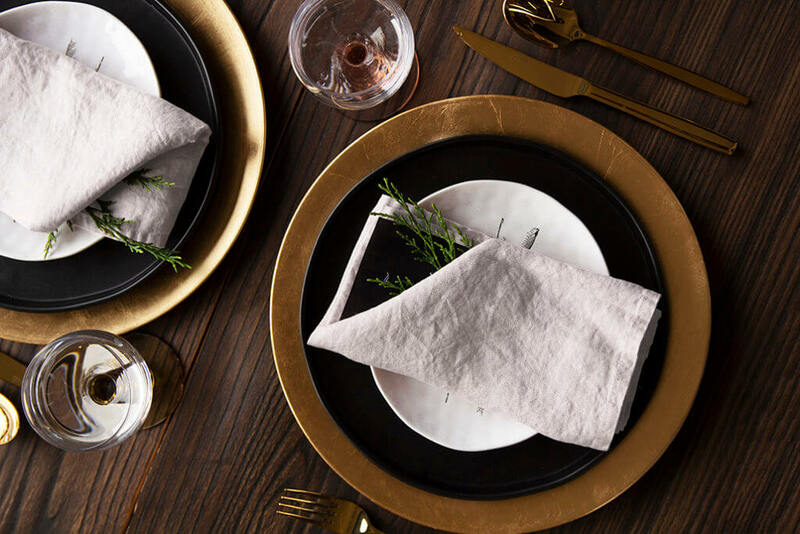 Creating a tablescape that will amaze and delight your guests! 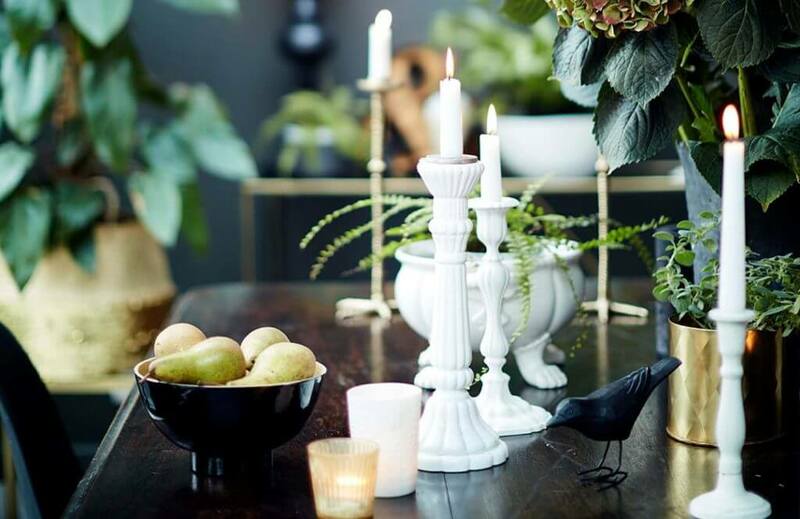 The easiest way to decorate and embellish your table is to build from the centre outwards. 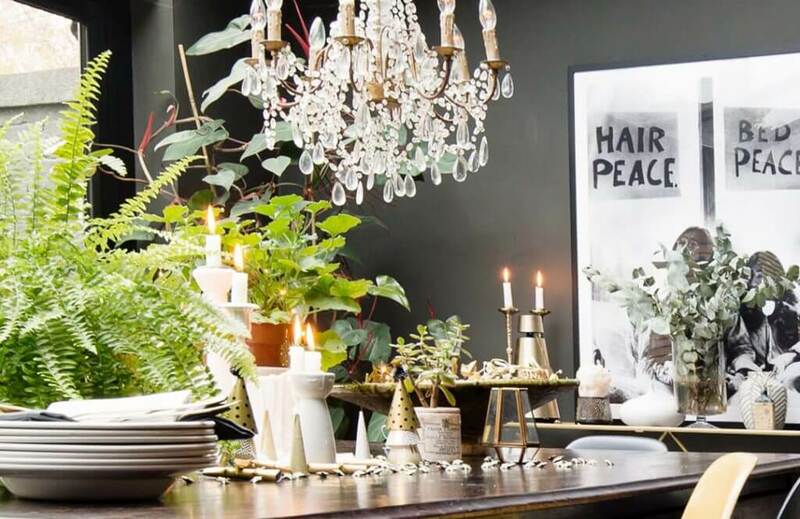 Now, at Rockett St George we love an amazing centrepiece that wows, but in terms of practicality, we know that it can sometimes be difficult when it comes to space on the table to create the impact that you desire. 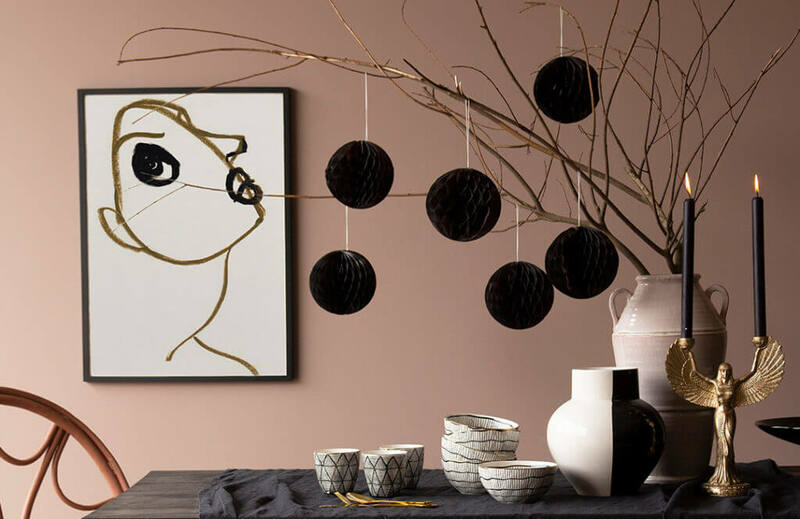 Luckily, we have an easy solution to this dilemma ... hang something spectacular above your dining table! Not only does this save space for your food spread, but it also adds dimension and scale to your dining table - a win-win! 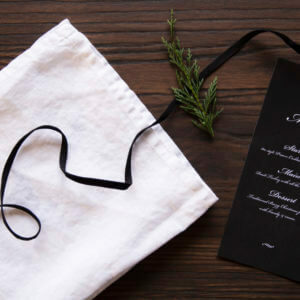 Curate personal place settings for your guests that they will love. 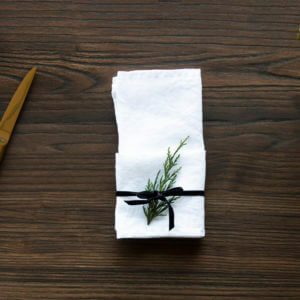 A simple but incredibly effective way of making your loved ones feel special on Christmas day, why not curate a personal place setting for each dinner guest? 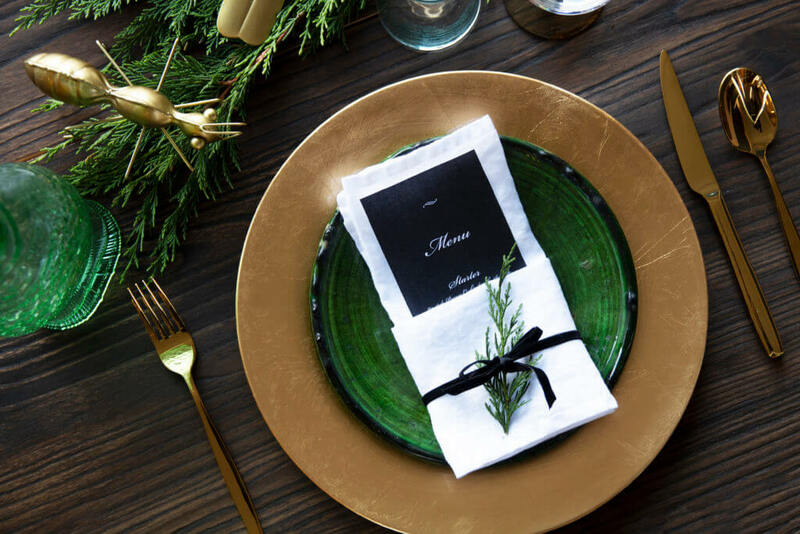 Once you've got the Christmas tableware essential sorted its time to embellish! So, get your hands on decorative pieces such as twine and ribbon and threading baubles and decorations). 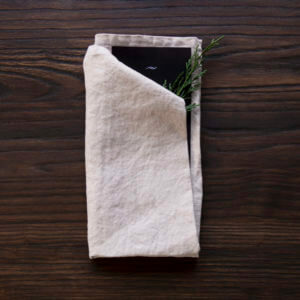 You could even take it one step further and pop a little table gift in their place setting for them to open on Christmas day. 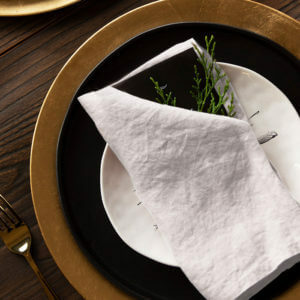 Delight your friends and family with festive napkin folding techniques! 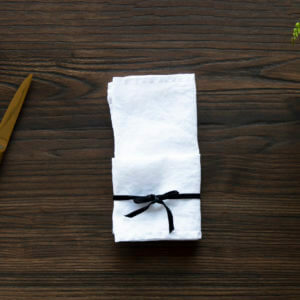 Really easy to do, we've come up with three of our favourite Napkin Folding ideas for you to create. 1. 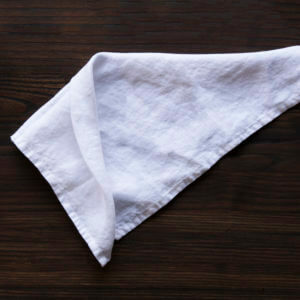 Lay Your napkin out flat. 3. Fold top layer down. 5. 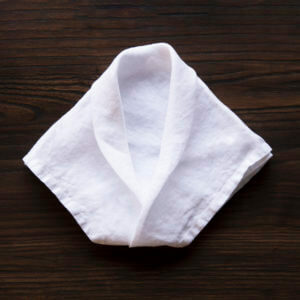 Fold napkin in half. 6. 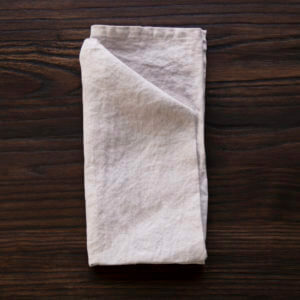 Fold in half again from right to left. 7. 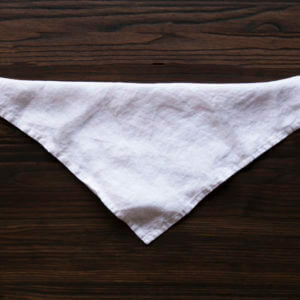 Tie ribbon on the bottom quarter of the napkin. 8. Embellish with a Sprig or Bauble. 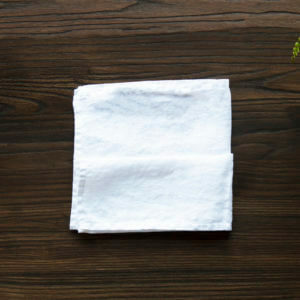 Glitzy Elegance - Napkin Placesetting Idea No.2. 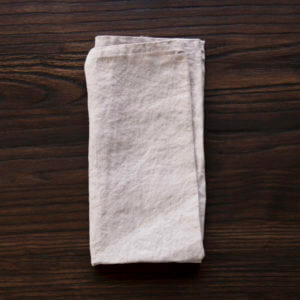 You Will Need: 1 x Napkin, Menu, Sprig of greenery. 3. 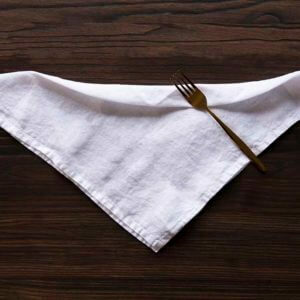 Taking the top corner of the napkin fold it down. 4. 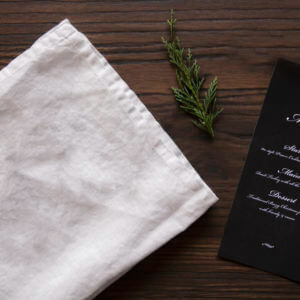 Insert the menu and your sprig of greenery. Et viola! 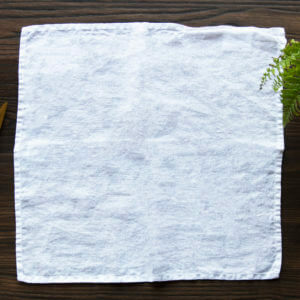 A perfectly personal place setting! 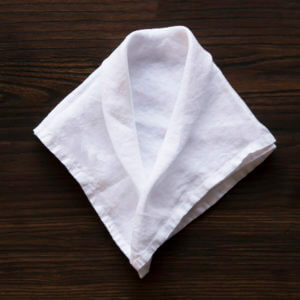 Dinner Jacket Napkin Placesetting Idea No.3. 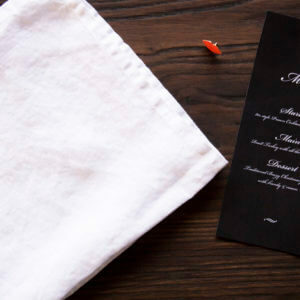 You Will Need: 1 x Napkin, Menu & Pin Badge. 2. 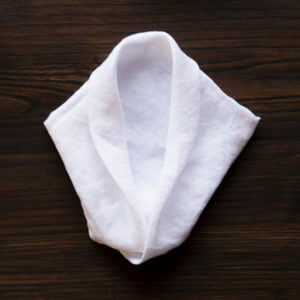 Fold napkin in half forming a triangle shape. 3. 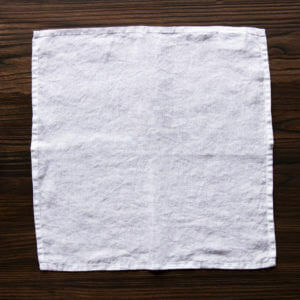 Next, fold down the top by about an inch. 4. 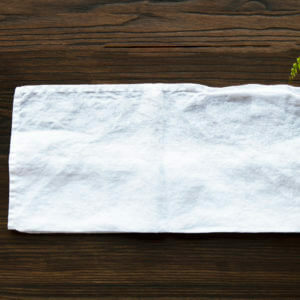 Flip the napkin over and fold each corner down. 5. Overlap the two sides slightly at the bottom. 6. Flip the bottom section under. 7. 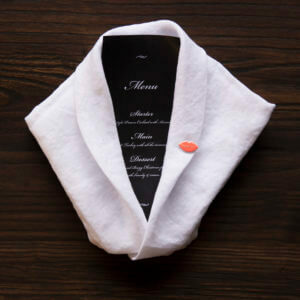 Fold the edges of the tuxedo under so it forms a jacket shape. 8. Embellish with a menu and pinbadge.